Affiliate program: you will earn 5% of your referrals's earnings for lifetime. 1. Go to exoclick and input required information for your new account: username, password, company name, your name, country... Then input captcha and click SIGN UP. 2. When your account has been created, click LOGIN and input your username/password to sign to your account. 3. When you signed in at first times, click update your account data to complete your contact details (country, tax ID...) and payment details (payment method, minimum payout). 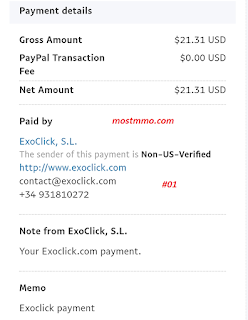 Notes: you need choose Paypal as payment method so that you can choose minimum payout $20. Click Save Modifications to save. 4. When account updated, click Ad Zones. Click Next to continue. 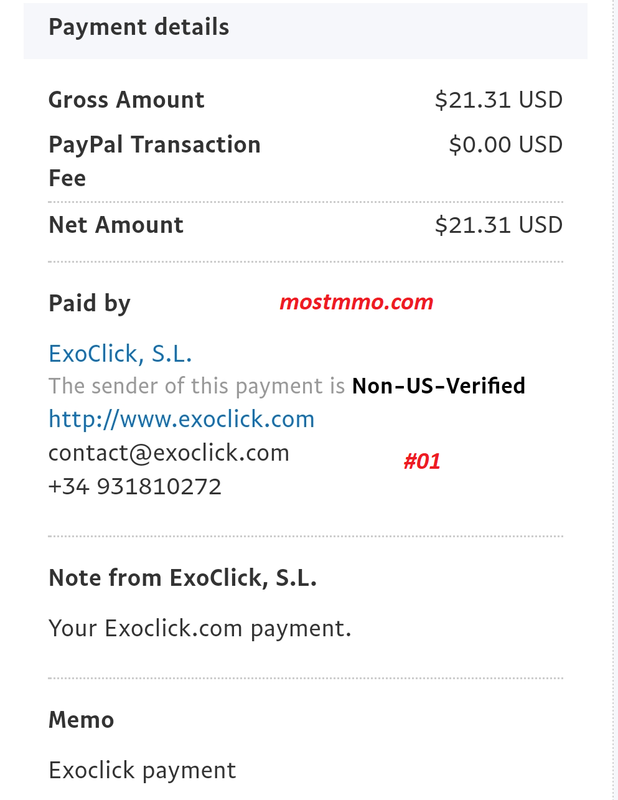 If you haven't added a website to Exoclick, click You must add a new site first. Input your site's information: Name, URL, Description and choose Language, Main Category (Adult, Downloads & File Sharing, Entertainment, Games, Lifestyle, Online Communities). Then click Save. 5. Click create the ad zones, choose ad type Web Advertising or Mobile Advertising and click Next. To create new ad zone, choose input your new Ad Zone Name and choose Site, Border, Format, Category. You can click Advanced Options to see more options. Then click Save & Preview. 6. Your ad zone has been created. Choose type of tag (Standard or Iframe) and copy script to display it on your website.